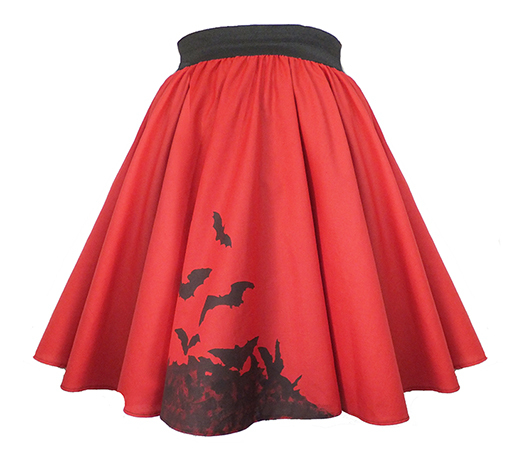 Bats Print Full Circle Skirt. Made with Cotton Poly mix Fabric - I prefer this to 100% cotton as it doesn't crease as easily. But I'm happy to use 100% cotton instead if you prefer. 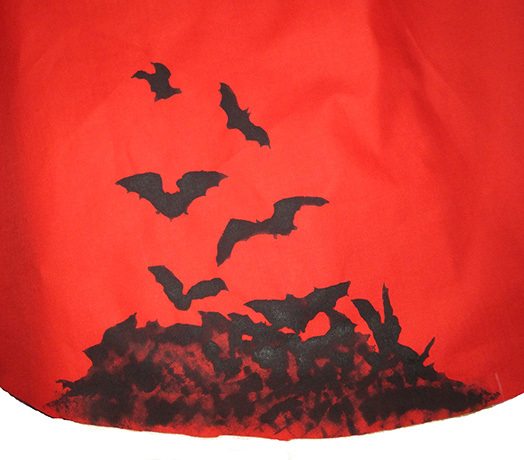 Each skirt is hand printed with the bats motif - permanent fabric paint is used, skirt can be washed up to 40 degrees and ironed at medium setting. Wide elasticated waistband - pull on style.